Last time we talked about Heidi’s hands and feet product’s; this time, good news from Heidi’s best seller! 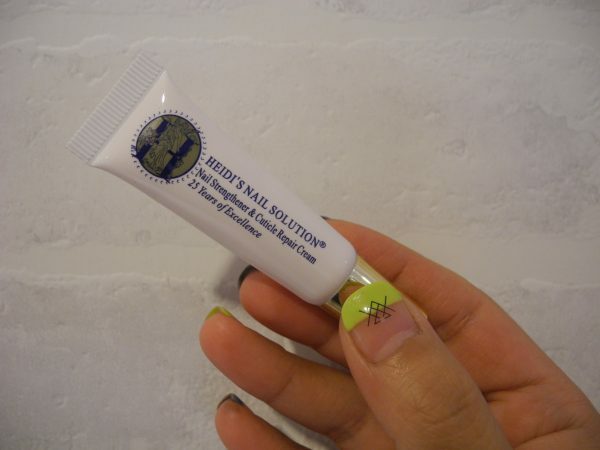 The all new Heidi’s Nails Solution nail strengthener and cuticle repair cream 8ml travel size has exactly the same ingredients as the classic size. It is also enriched with soybean protein, cottonseed oil, lanolin, and oil of cashmere. Now, you can rejuvenate dry, dull, weak, uneven and split nails anywhere you like. Strengthen them, increase elasticity and bring back healthy glow even when you are on a plane or travelled far abroad.